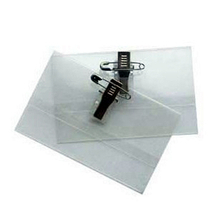 The PVC badge holder is a economical and practical badge holder, it has wide usages. 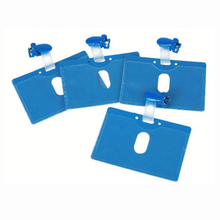 The PVC badge holder often used as an identity card holder, visitor pass holder, conference pass, name of the event holder, etc. In many places, the PVC badge holder can show its wide purposes. 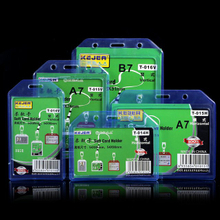 The PVC badge holders is made of tough PVC, it is environmentally friendly and durable. 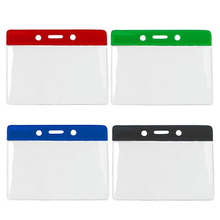 The PVC badge holders we provide are multi-colored, transparent, red, blue, green and black. If you need, we can also make the color of PVC badge holders you want. PVC badge holder is perfect for office workers, security personnel, retail workers, or anyone who needs an ID card without damaging the magnetic stripe. 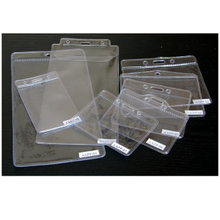 To meet the demand of most customers, we also provide several different sizes. Any questions you can contact us. If you are looking for one low-cost badge holder, the PVC badge holder is the best choice for you definitely.